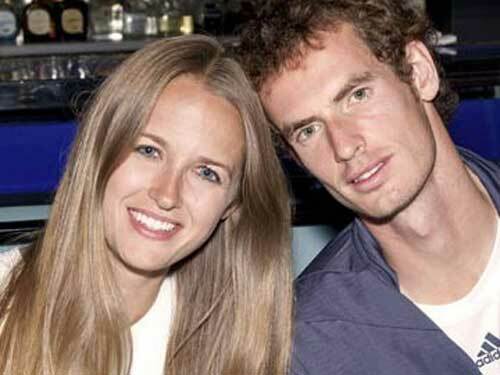 Wimbledon winner Andy Murray has jetted off for a sunshine break with girlfriend Kim Sears. The tennis ace, 26, left Heathrow last night for the Bahamas with Kim, 25, for a well-earned break. ‘Just got off flight… Nice 5 day break coming up before training starts again next Saturday… Going to eat a lot and do very little else,’ he Tweeted. The Bahamas is a favourite destination of Andy’s to recover after tournaments, and was snapped there in 2010 after losing out to Rafael Nadal to the Wimbledon Men’s title. Afterwards, he is likely to head to his apartments in Miami to prepare for the Rogers Cup in Montreal, Canada. It has also been reported today that tennis’s golden couple will be the next to star in Burberry’s billboard ads, following in the footsteps of Kate Moss and Romeo Beckham.